The question of social commitment is all the more important given that it is generally, and all too often, accepted that civic spirit is not compatible with the notion of private enterprise. For us, however, it is a constant value and one that we have never sought to use as a communication tool nor a pretext to stand out. Thus for many years now we have provided aid to a number of our students. We negotiate fiercely with banks to obtain loans to finance their studies; we fight to obtain the best conditions for their internships; in short, we take action to prepare them as best as possible for their professional future. Furthermore, we take a 360° approach: Cité de la Réussite, Université de la Terre, creation of Web@cademie, IONIS Education Group committed to combating AIDS, the Spring Blood Drive with EFS (French National Blood Service), the development of students jobs etc. Our focus is clear: to go beyond words in order to make our projects tangible, sustainable and above all significant successes. 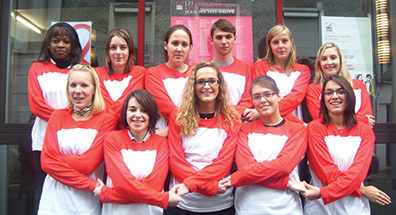 The start of the 2013 academic year saw ETNA, the School of Advanced Digital Technologies, offering 5-year post-baccalauréat courses, launch an integrated preparatory course with 250 free places and a responsible and innovative method of contribution. Admission would be based on profiles, motivations and social criteria in order to provide maximum aid to worthy young people who do not have the funds necessary to finance their studies. Rather than favouring the current system in place in private schools (“I pay, I study, I work”), an innovative approach was adopted (“I study, I work, I contribute”). The school is currently taking on students with baccalauréat + 2 years' further education for a three-year work-study programme, thus allowing them to graduate with one of the two RNCP Level I titles (network system and security architect or application development software architect). Prep’ETNA offers an entirely new method of contribution: the student makes a moral commitment to help maintain the system through a contribution as of the third year, when they begin work within a company on a work-study placement (€250/month over 3 years). As such, having benefited from training that allowed them to enter the world of work under good conditions, they can then give others younger than themselves this same possibility through an act of intergenerational solidarity. The experiment has highlighted the faith that IONIS Education Group and ETNA have in their students since the latter are bound to their school by a moral commitment based on a sense of solidarity. 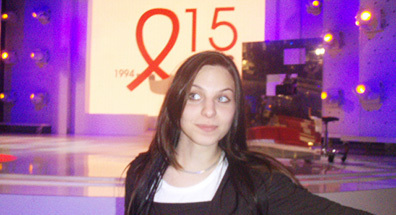 What could be more natural for a Group like ours than to take a stand in the fight against AIDS? To involve all of our students, we have decided to support this cause by organising action and mobilisation days in our schools to prevent the advance of the disease and support those infected. Every year, partner associations come to talk and exchange with the students while health professional run conferences and debates. 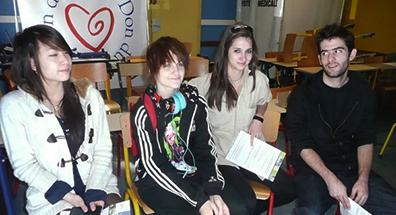 For their part, the students raise money for the associations thanks to various initiatives. For IONIS Education Group and for our students, the fight against AIDS must remain a priority. Each school develops its own local initiatives: fundraising, information stands, conferences, etc. The different campuses work with local associations that support the organisation of these events. The students, being the main players in the event, also get the opportunity to develop their skills while volunteering for a charitable cause. In 2010, Epitech launched a school offering young people with no qualifications a two-year training course in web development and integration, in partnership with the Zup de Co association providing academic support for disadvantaged children. Web@cademie is aimed at young people of 18 to 25 years of age who have not passed the baccalauréat. The two-year course offers young people with a keen interest in IT the opportunity to find permanent employment. The school is located on the IONIS Education Group Technological Campus in Le Kremlin-Bicêtre, which brings together engineering and expertise schools (EPITA, Epitech, e-artsup and SUP'Internet) and more than 4,000 students. The students are pre-selected by Mozaïk RH, a not-for-profit recruitment firm specialised in diversity and equal opportunities. The project was born from the meeting between François Benthanane and Kévin André, founders of the Zup de Co association, and Marc Drillech, Managing Director of the IONIS Group, as well as the Epitech teams. Together, they wished to provide a concrete solution for young people leaving the school system every year with no qualifications. Despite certain substantial initiatives already in place for several years, none had yet looked to the nonetheless flourishing computing and web sector. Yet in 2010, nearly 170,000 computer specialist positions remained unfilled and 120,000 young people were leaving the French school system every year. Web@cademie is based on an innovative teaching method and an authentic professionalization approach. The methods used are those of Epitech: active classes, a project culture, emphasis on teamwork, and intensive and personalised coaching. True to the Epitech culture, the Web@cademie training programme requires students to produce individual mini projects and projects in groups of three to four people. These projects are developed, run and assessed according to professional criteria. This collective work helps unite efforts, encourage each participant and instil them with a sense of responsibility. Professionals and entrepreneurs from the sector regularly visit the school to present the specific features of their professions to students as well as the skills expected by the market players. The training is free of charge for students. Its costs are covered by grants and contributions from businesses, particularly companies who sponsor professional integration activities, as well as the various initiatives undertaken by the IONIS Group. In addition to encouraging the involvement of our students in community life, we invest in various projects that are close to our hearts. We strive to support outstanding initiatives, because we do not see our task as merely imparting knowledge. Our duty is also to shape responsible citizens, and therefore to lead by example. The schools are fully fledged social players, like the IONIS Group. They are part of the territories in which they are established and can neither exist nor develop without consideration for what is going on in their surroundings. The digital industry is a promising sector for growth and employment. Yet in France nowadays, women only represent 27.3% of its workforce (Syntec Numérique). In engineer schools, the situation is similar with 27.1% of girls (Ministry of Higher Education) which is unacceptable. EPITA has launched the Excellencia Trophy, in partnership with Femmes du Numériques, a commission of Syntec Numérique that promotes the digital sector to young women, trying to break down stereotypes and demonstrate the attractiveness of its businesses. 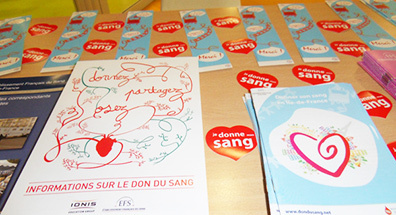 Following a first joint day of action in 2008, the IONIS Education Group has chosen to form a lasting partnership with the French National Blood Service (EFS) with the aim of educating students and raising their awareness of the issues surrounding blood donation and its importance. 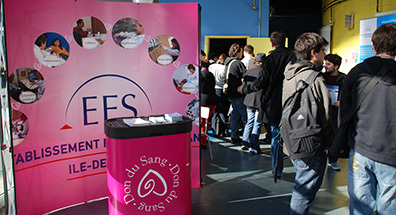 Since 2011, the Printemps du sang held on 21 March has become a day of joint mobilisation for all of the schools in collaboration with the regional and national EFS departments. 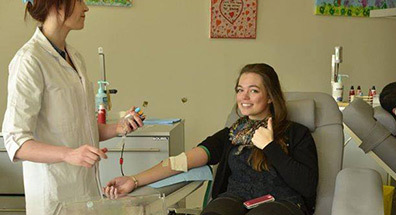 It provides students with an opportunity to donate their blood, sometimes for the first time, and to raise public awareness of this generous and civic act. 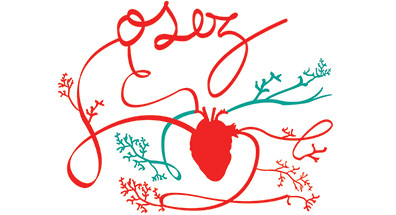 A crossroads of reflection and debate, the Université de la Terre brings together major players in the environmental sector once every two years. All concerned by the critical challenges affecting the future of our planet, scientists, economists, politicians, sociologists and business leaders gather together at the UNESCO headquarters in Paris for this event combining ecology and economy. Well aware of the role of teaching in the behaviour of future generations, we have chosen to become an official partners of this event in an attempt to respond to the major issues arising from sustainable development. The active participation of our students and the Group’s Management at our round tables reflects our involvement in a proactive approach that seeks to put in place real initiatives as a result of this questioning. 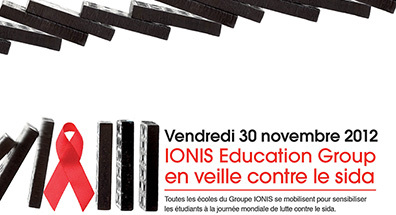 Since 2006, IONIS Education Group has been an active partner of the Cité de la Réussite. A major event in the field of cultural, economic, political and scientific reflection, it is also an opportunity to share, debate and discuss current topics. Responsibility, commitment and reinvention are the key words in the debates organised by the Cité de la Réussite for a diverse public (students, business leaders, politicians, the media, etc.) More than 25,000 people (with students accounting for one third) take part in the meetings at this cultural crossroads at each edition. Several representatives of IONIS Group participate in the debates. ISG and the Passeport Avenir association, ddedicated to the professional insertion of young people from low income households, signed a partnership agreement in 2011 to promote the school’s social access. Under this agreement, scholarship students at the ISG receive support from a tutor at one of the Passeport Avenir’s partner companies in order to facilitate their professional insertion. This is one of the association’s two aims: to hold students at the Grandes Ecoles from low income households to join a high quality professional network. The second aim is to support secondary school pupils and students in preparatory classes on their path to the Grandes Ecoles.